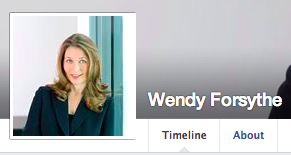 Hi, I’m Wendy Forsythe. I’ve spent my career working with people and organizations to help them build their brands. We live in a connected world where that line between a personal and professional persona has become nonexistent. Your brand is you 24/7. This blog is about me and my life. Some of it will relate to my passion for the real estate and technology industry and some of it will just be about me living life and exploring my interests. The opinions expressed here are my own personal opinions. They do not reflect the opinions of my company (Carrington Real Estate Services). Great stuff on this site, I enjoyed perusing your work here…it shows some great thought. I’d love to connect with you. As we’re working on the next set of transformations at ZipRealty, I am seeking out conversations with people like yourself who know the real estate industry, have passion for technology and, most importantly, possess the really rare ability to define company identity and bring that to life in all aspects of the business. I would like to discuss with you some of the changes we are making here right now because I think you might find them pretty interesting and because I know you would bring a really special perspective to our challenges and everything we’re trying to accomplish. I hope you will drop me an email or a call when you have a few minutes. Thanks Lanny. I look forward to talking with you.